My first grade teacher, Miss Kessler told my whole class I would be a great artist one day. She let me work on my portrait of Lincoln, while the other kids went off to do something else. Miss Kessler, like all true teachers, discovered the jewel essence of each child and empowered them. Everyone can cultivate young talent by recognizing and saluting it when you see it. To all young artists: Keep fighting the good fight. 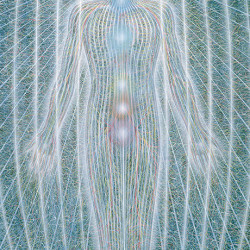 You are part of the great chain of Art, a wave of creative energy that flows through an artist’s life and work. It’s a holy gift. The first time I recall consciously taking on the mantle of being an artist is when I did a self-portrait at the age of 15. Being an artist was already my identity, but with this self-portrait I said, “Whatever it takes I’m going to be the best I can be. I am going to dig deep into the nature of the mystery of the self.” I have done hundreds, over a thousand, self-portraits through the years. The art making process has always been an examination of the nature of the self on many levels. It’s not surprising that my first commitment to being an artist came through a self-portrait. Warhol said that every piece by an artist is a self-portrait. Art, like a dream, emerges from an artist’s creative energy-field, their imagination and materials. By expressing themselves through an artifact, a true artist can evoke a range of emotions, ideas, and spiritual ideals in another person. 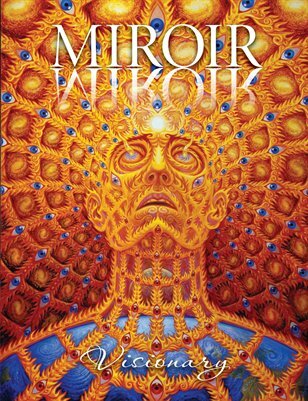 In 1980 I had an inspiration that I was a reincarnation of Jean Delville, a Belgian Symbolist painter. I first saw Jean Delville’s work in the book Images of Horror and Fantasy by Gert Schiff when it had just come out. “Angel of Splendors” made my jaw drop as if I was recognizing a painting I had made. In my 20’s at that time, Delville’s work eventually led to my writing The Mission of Art. Allyson calls that book my PhD thesis. 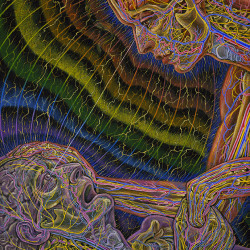 As the Visionary Art movement develops, Jean Delville is increasingly recognized once again and rediscovered by Visionary painters who feel a part of the venerable Symbolist art tradition. 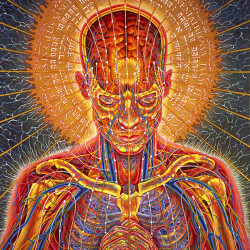 Many artists including Mucha, Redon, Delville, Mondrian, the Russians Malevich and Kandinsky were transcendentally inspired and many were Theosophists, a spiritual movement founded in the late 1800’s. 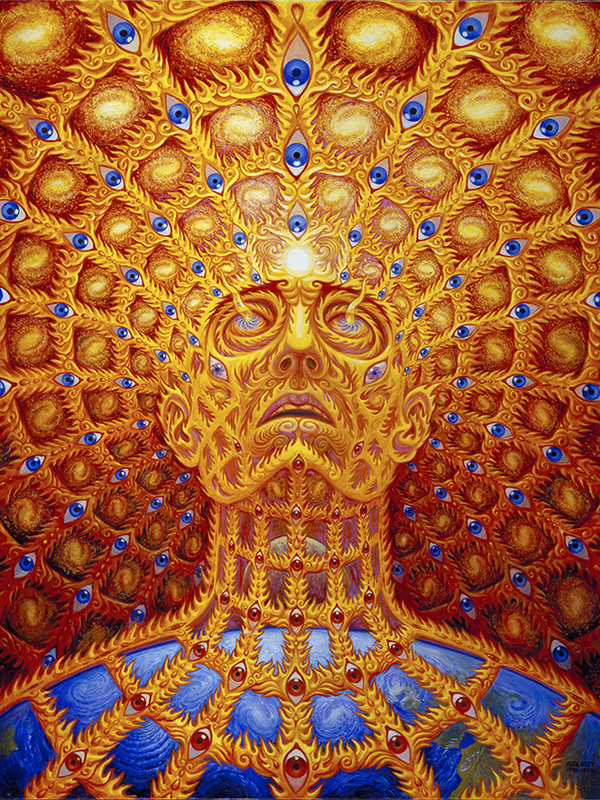 Q: What is Visionary Art? 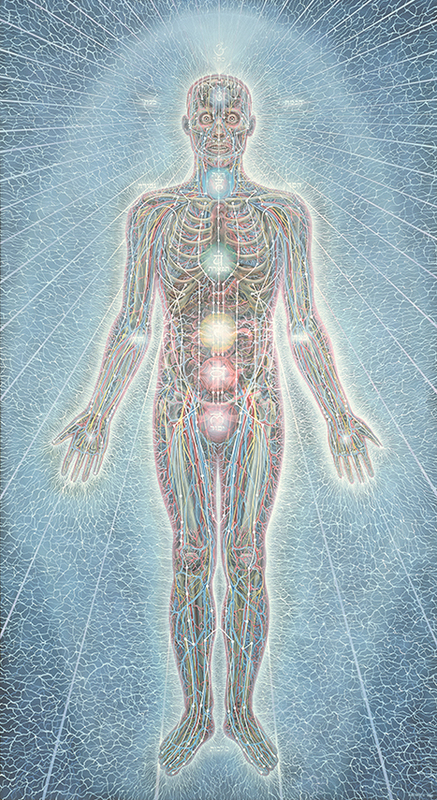 A: The artist’s mission is to make the soul perceptible. 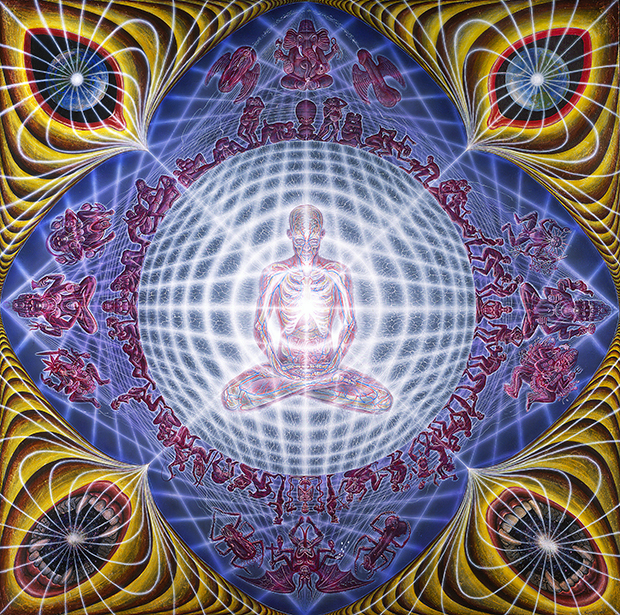 Our scientific, materialist culture trains us to develop the eyes of outer perception. 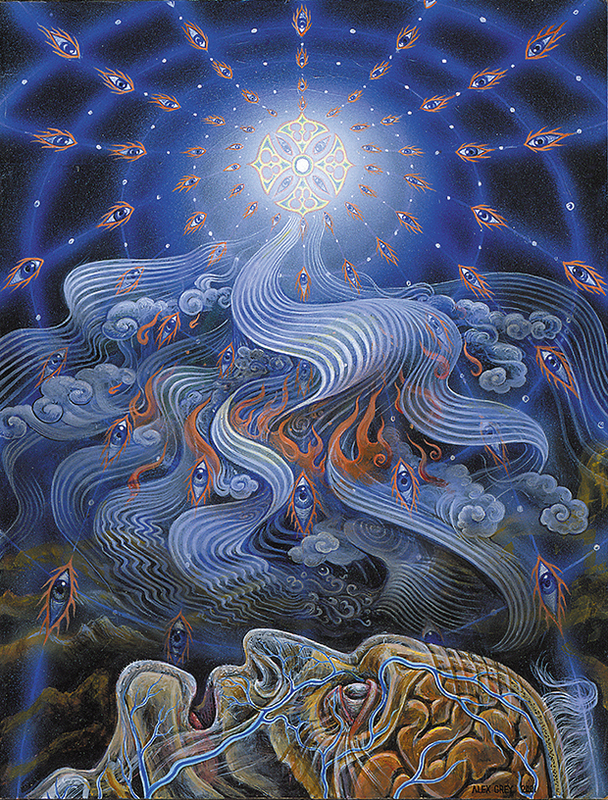 Visionary art encourages the development of our inner sight. 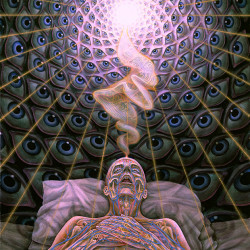 To find the visionary realm, we use the intuitive inner eye: The eye of contemplation; the eye of the soul. All the inspiring ideas we have as artists originate here. Of all artists and poets, William Blake’s radical spirituality and universal outlook resonates greatly with me. Not only did Blake marry his best friend, the artist Catherine Blake, he created a book about all religions being one. Q: Are you trained or self-taught? when I was a student there, told me that there are a lot of artists with plenty to say who have never developed the technical skills to communicate compellingly. There are artists with skills but nothing of significance to say. It is rare when an artist has the technical proficiency to say something important and communicate it effectively. This advice, directed toward me in particular as I was leaving the school, really touched and guided me. 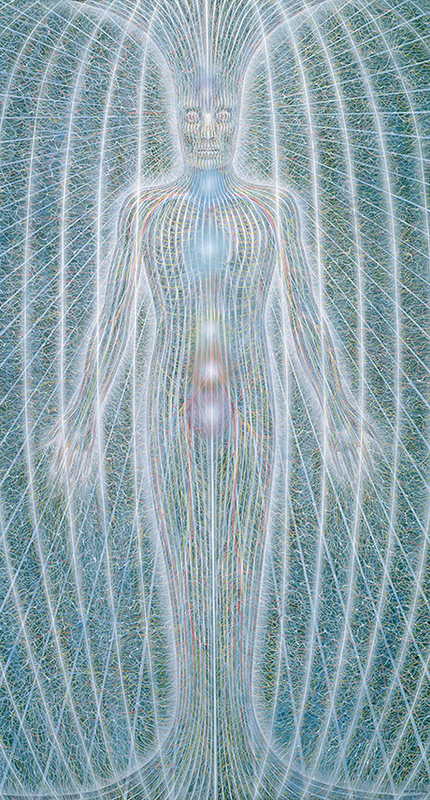 My early art, deep, introspective, and existentialist, changed dramatically after my first LSD experience in 1975. 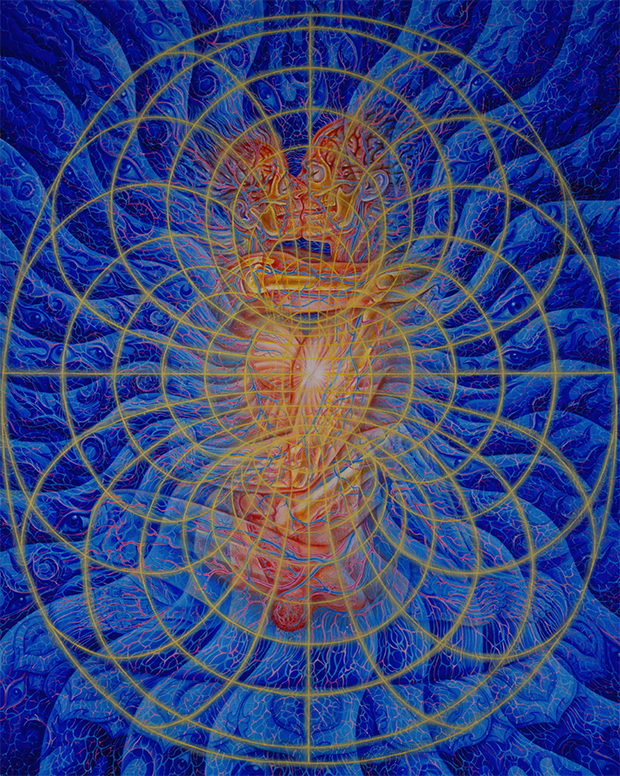 My art turned toward the sacred. 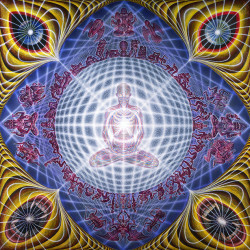 Our consciousness can reach God consciousness. The early history of sacraments shows us a legacy of humanity that has always been with us and it’s legitimacy as a spiritual path and basic human right, the right of cognitive liberty, is now being restored. 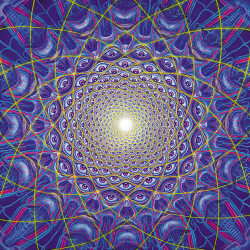 The psychedelic revolution is favoring the visionary experience. 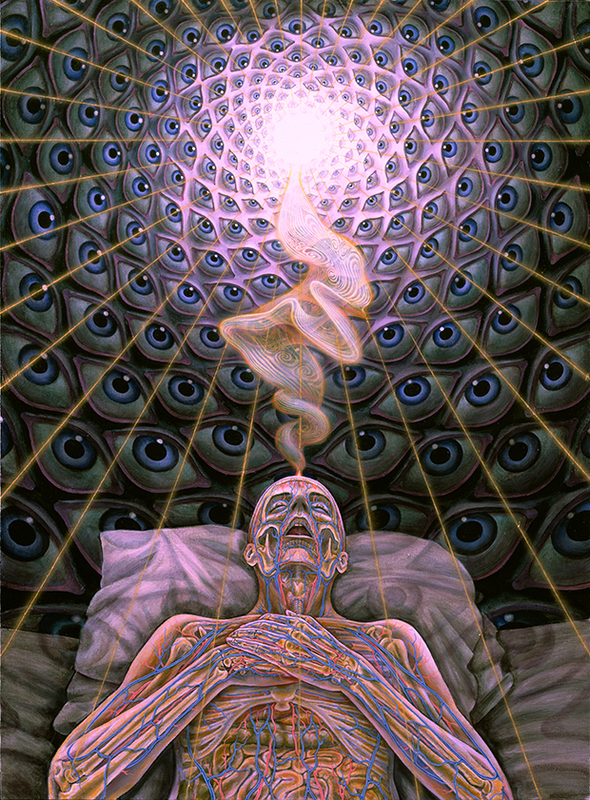 Before we take a psychedelic we may not have had a visionary experience. Afterward, we never forget it. The great Sufi mystic, Ibn Arabi says that our creative imagination is “our angel” where God meets God. 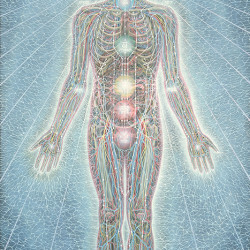 The Universe was created with trap doors we can use to return us to the Oneness of the creative source. 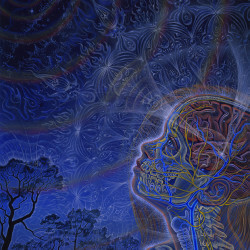 In the beginning there was nothing at all, then Transcendental Intelligence evolved a universe full of galaxies, and our beautiful earth home with plant teachers that can provide us a mystical experience. 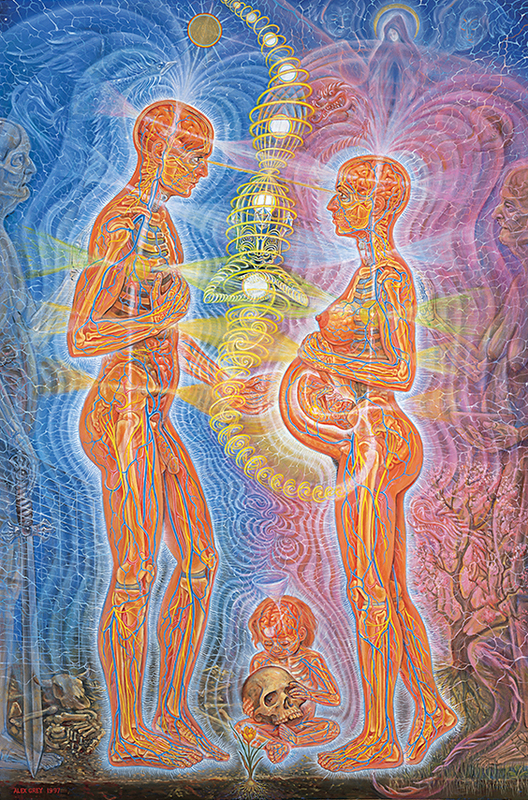 Artists practiced at reproducing their visions, having had these experiences, create symbols, images that point to oneness, wholeness and integration. 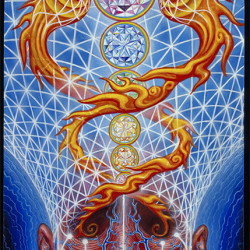 That higher level of order, creates an evolutionary updraft, and it courses through all sacred art and architecture. When we visit Temples we feel that pulse. A: My wife, the artist, Allyson Grey has been my greatest inspiration and teacher for the past 38 years. We met in art school in 1974 and we both recall every encounter we had together that year. 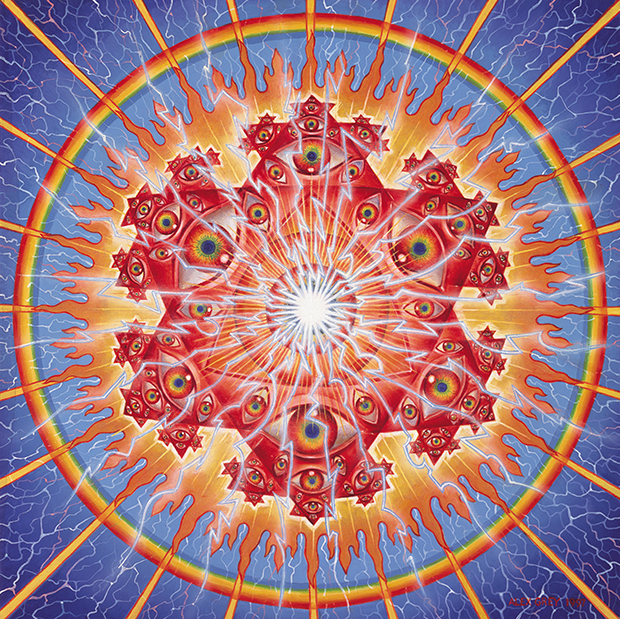 I had my first LSD experience sitting on her couch, one of many guests at her end of year party. The next night I asked her to go out with me and we never left each other. 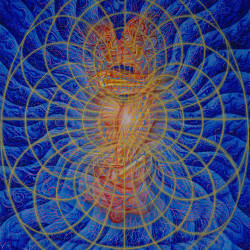 She inspired the creation of the Sacred Mirrors and named them. Allyson continually strives for excellence and encourages me to improve and be my best, most authentic self. 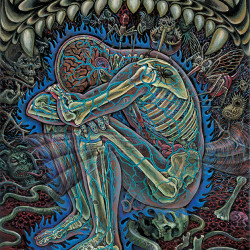 It inspires me every day to be alive and able to get up in the morning, get some painting done, move the Entheon project forward… As artists, our inspiration comes from knowing that our greatest work is yet to be. We are in no way finished and are, in fact, working on our best work of art EVER, if not now, then soon. The creative process itself is inspirational. God is my ultimate inspiration — the creative source. 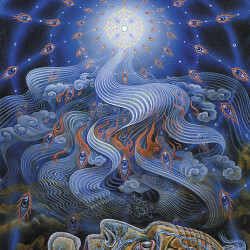 The same One Being that is the source of inspiration in all beings. 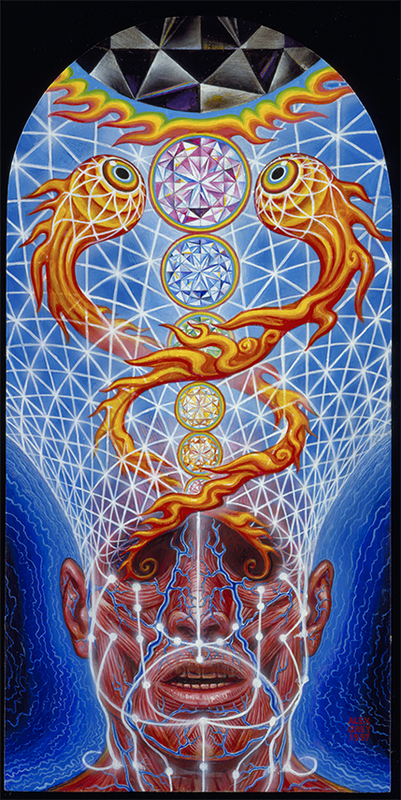 In our daily lives, I am inspired by our staff at CoSM who dedicate their love and commitment to the vision of CoSM. 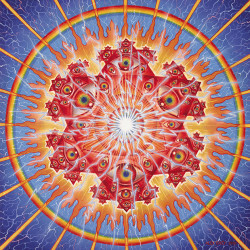 Allyson and I are inspired by all the creative visionary artists we know who are finding their way in an emerging Visionary Art movement. 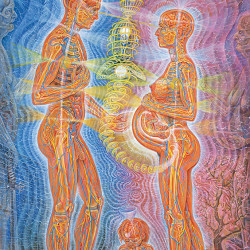 At festivals and events throughout the world, we are inspired by the “Love Tribe,” people young and old who see beyond veils of nationality, gender and all biases to respect diversity and unity with the human race, to honor the life web and do all they can to preserve life and reverse humanity’s self-destructive tendencies. Differentiating the death economy from the life economy, we invest in what we want to grow. 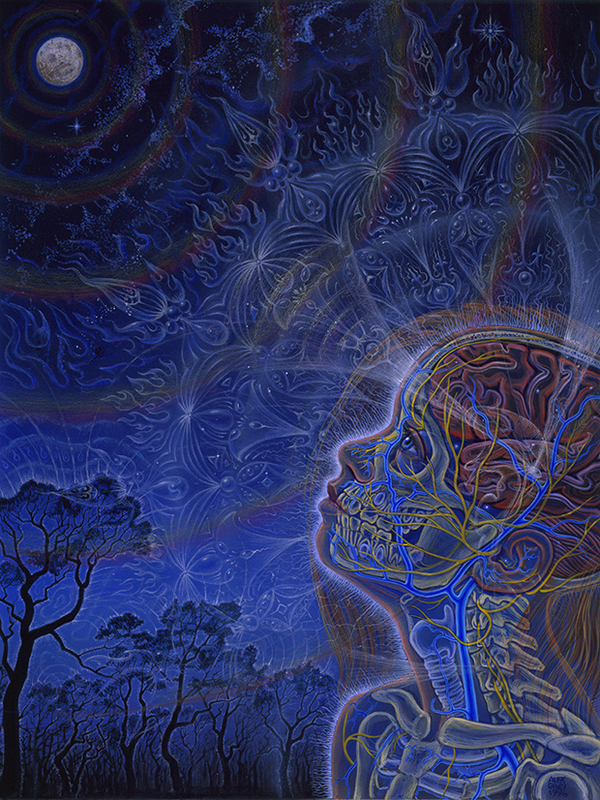 At CoSM, we invest in reclaiming sacred imagination because we are coming into a time when we really need this. 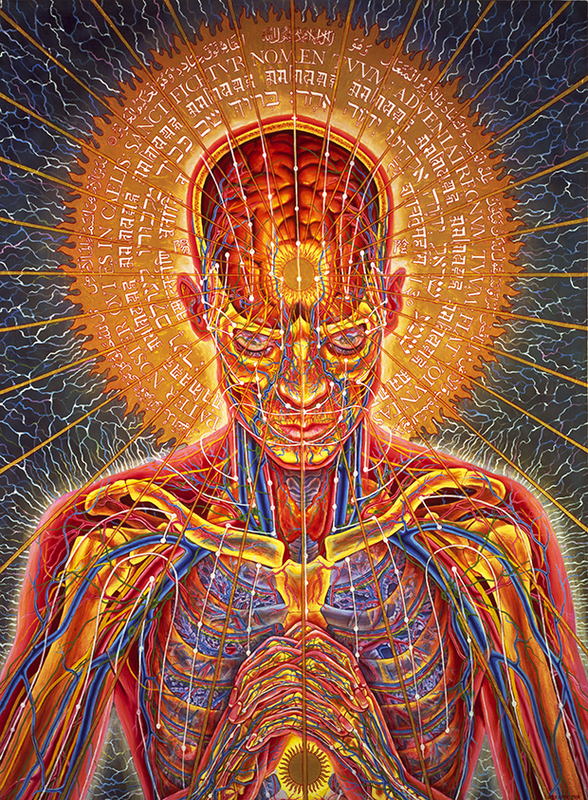 Q: What is CoSM and Entheon? A: CoSM, Chapel of Sacred Mirrors, is a wooded 40 acre center for visionary culture, an interfaith church where we practice creativity as a spiritual path. 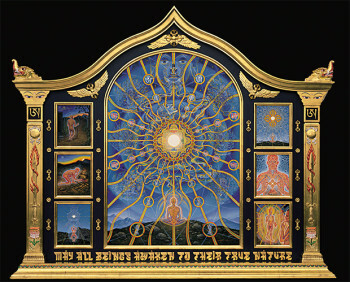 CoSM is located in the historic Hudson Valley of New York, home of the first American Art Movement, the Hudson River School. 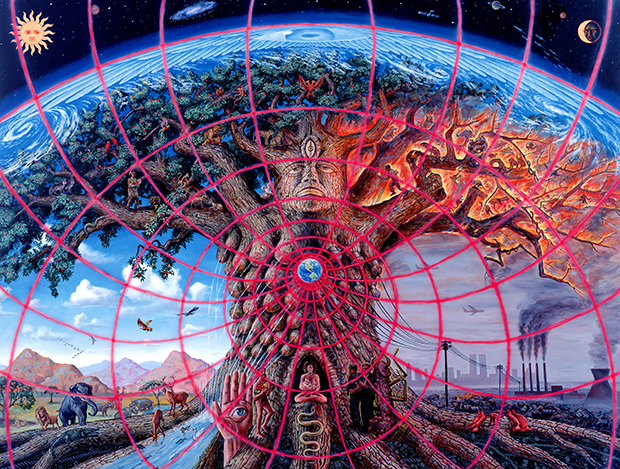 The mission of CoSM is to build an enduring sanctuary of visionary art to inspire and evolve the creative spirit. 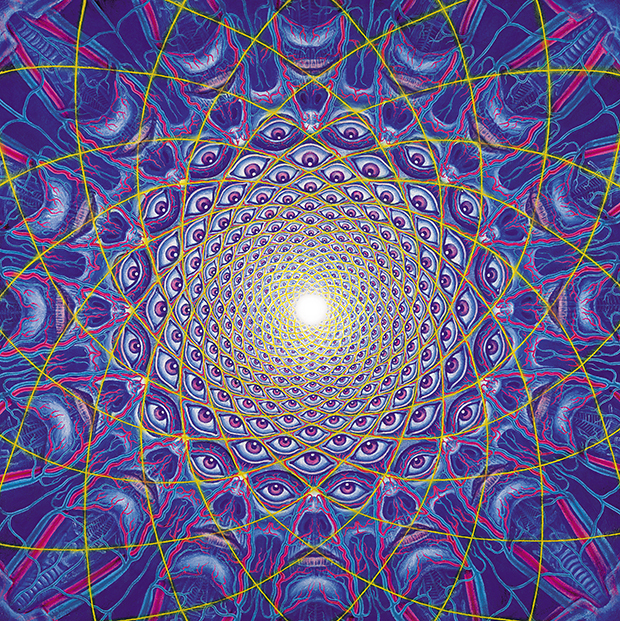 CoSM hosts presentations of art, dance, music, light and video projections, fire spinning and many esoteric creative forms by internationally known artists. Programs include an over ten-year unbroken chain of Full Moon Ceremonies, Equinoxes and Solstices plus Art Church, Visionary Salons, and the Dieties and Demons Masquerade. 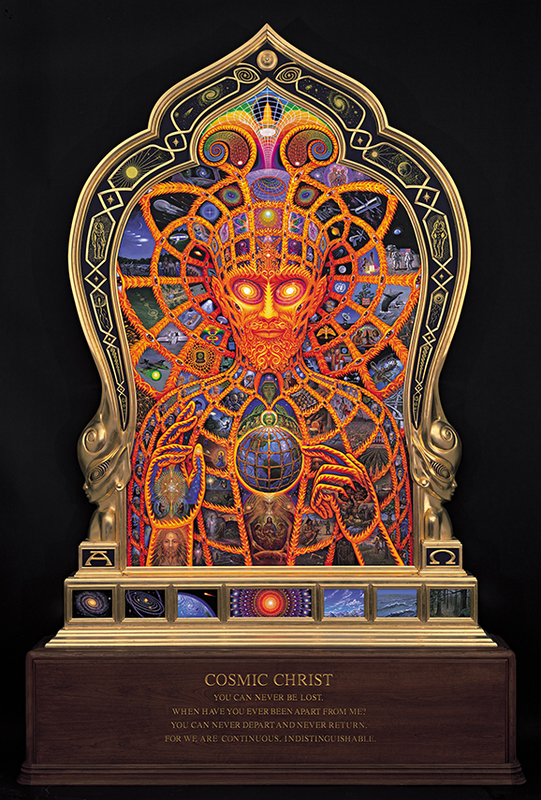 Entheon is the visionary art sanctuary now in construction at CoSM, Chapel of Sacred Mirrors. The purpose of Entheon is to empower the advancement of the worldwide visionary art movement. 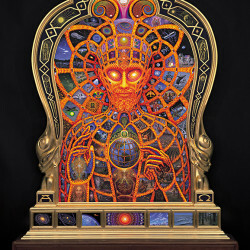 The first long-term exhbition at Entheon will be the CoSM collection of painting, drawings, and sculpture, by Alex Grey and Allyson Grey, offering devotional portrayals of the universal human journey from birth to death and beyond with love, family, and enlightenment as the unfolding iconic narrative. 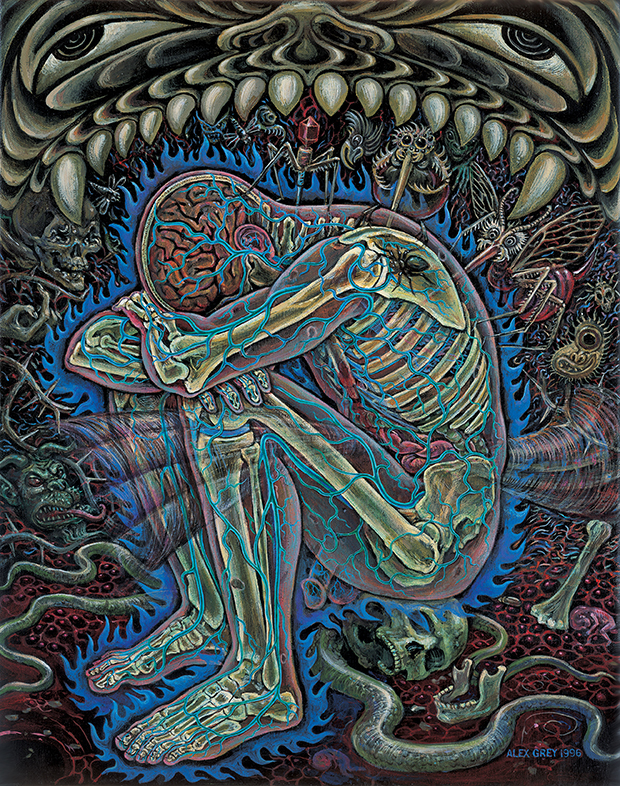 Entheon’s Narthex Gallery will show original art by established, internationally respected visionary artists. As a sculpted building, Entheon will be an attraction and a sound proof container for performance and ceremony. CoSM grounds, including the Wisdom Trail and Grey Guest House are opened to the public Friday through Monday, with guests accommodations available 365 nights a year. Target date for the opening of the Entheon interior exhibition: Autumnal Equinox 2015. Completing the exterior with all sculptures in place is targeted for Autumn, 2016. 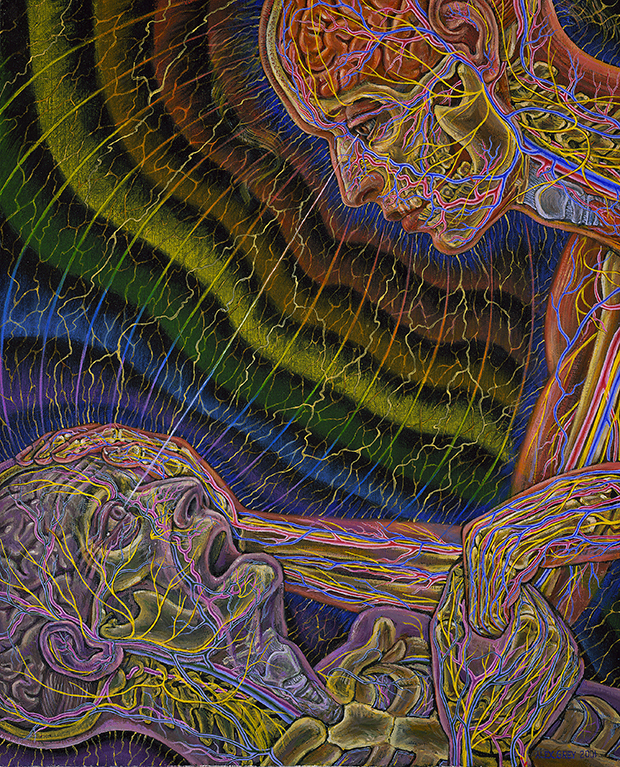 Exclusive Interview with Alex Grey by MIROIR Magazine’s Art Director/Photographer Nina Pak.